Erika Stone's active professional career began in the 1940s. 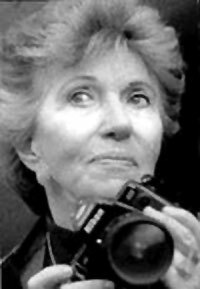 She was a member of the Photo League, a legendary New York based group of photo documentarians whose goal was dedicated to using photography to capture everyday life and promote social involvement. Erika studied photography at the New School of Social Research and was a prize winner in the famous 1951 Life Magazine Contest for Young Photographers. After she became a mother, she made a specialty of photographing children and families and her work appears in many magazines and textbooks used around the world. She was among the twenty women photographers whose work was included in the anthology Women of Vision in 1982. She has published several books and has work in the Museum of the City of New York, the Chicago Fine Arts Museum, the Center of Creative Photography and many more. You can visit Erika Stone's website at erikastone.com.